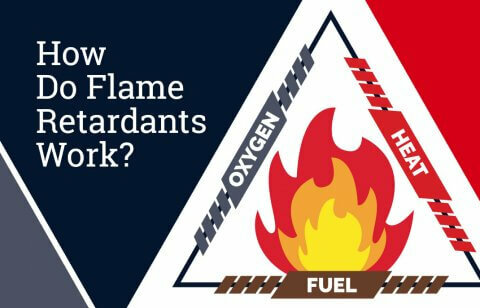 Tyndale sells tens of thousands of flame resistant (FR) shirts to workers around the country each year. If you’re a Tyndale customer, you probably have more than one of those shirts in your closet – or you may even be wearing one right now. It’s a no-brainer that the clothing we manufacture is shipped out of our distribution centers, but where does it come from before that? How is a Tyndale FR shirt actually made? Luckily, since we proudly manufacture all our Tyndale FR clothing in the United States, we could easily make the trip to Eastern Pennsylvania to see the process first-hand. The making of a shirt begins with the pattern. Custom patterns are created by Tyndale’s own in-house pattern-makers and apparel designers, and sent to the manufacturing facility to guide the cutting process. Garment patterns are printed on giant sheets of paper, then laid atop dozens of layers of fabric in advance of cutting. Before any part of the shirt is actually cut, each bolt of fabric is rolled out and visually inspected for any defects or imperfections. After passing inspection, it’s cleared for the cutting floor. 26 seconds into the video below, you’re seeing collars and cuffs take shape. Once the pieces of fabric are cut, they head to labeling stations. In order to maintain our stringent quality assurance processes, correct garment labeling and tracking is extremely important. While you’re probably aware that FR clothing has an arc rating, CAT rating, and information on testing standards printed on the labels, there is also labeling that denotes the exact roll of fabric the shirt was made from. 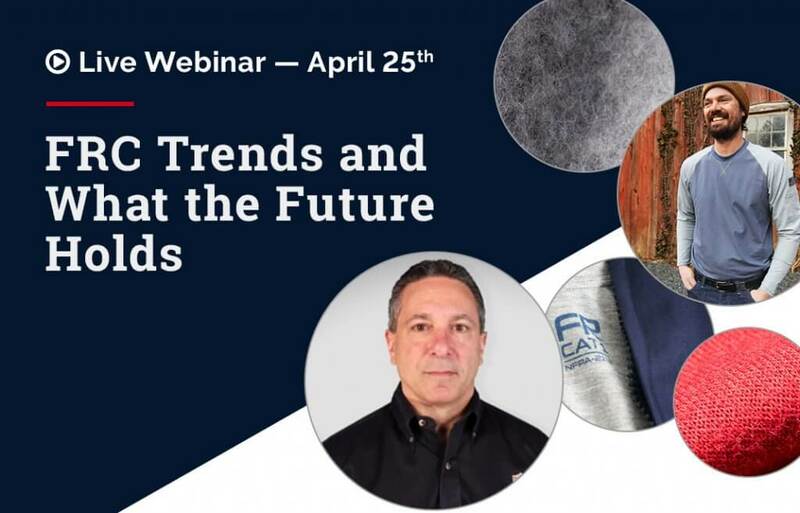 So, on a shirt’s journey throughout the manufacturing process, information like the garment’s size and fabric lot must be maintained accurately, and accounted for before the start of the next step. After labeling is complete, the shirt really starts to come together – collars, cuffs, hems, pockets and plackets are sewn on, seams are joined, and buttons and button holes are added. Quality-driven finishing steps are taken, too, like reinforcing buttons, cover-stitching, seam-by-seam inspection, steaming, and more. As soon as there’s assurance that the shirt meets our quality standards, it is tagged and scheduled for delivery to Tyndale’s distribution centers. 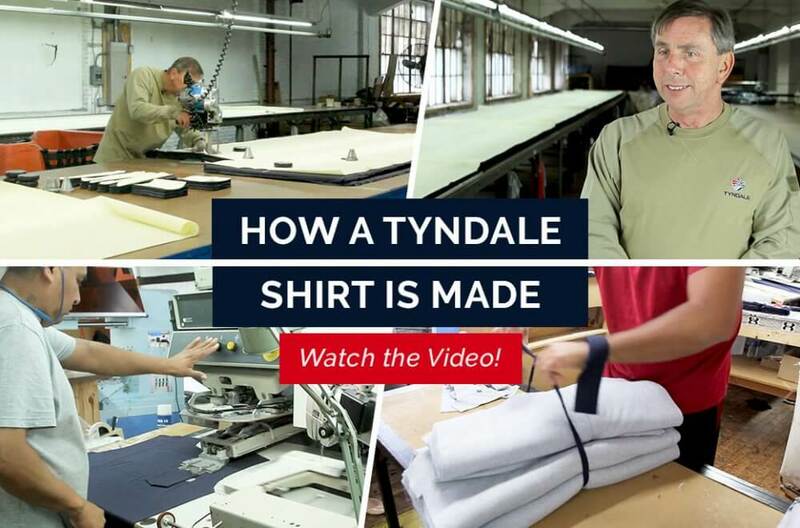 And there you have it – everything you ever wanted to know about the work that went into creating your Tyndale shirt. All said and done, there are over 30 individual processes involved in the cut and sew operation, and about 7-8 different individuals have a hand in creating the finished product. 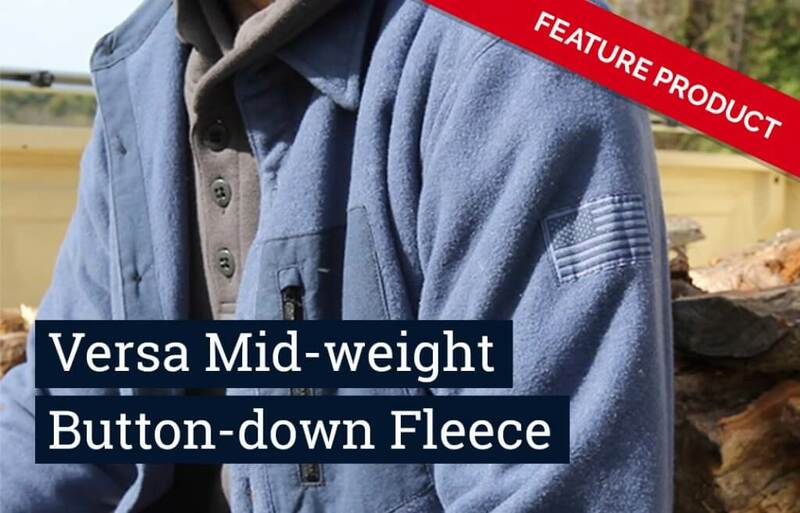 Most importantly, each and every contributor to the manufacturing process is committed to producing a quality protective garment that ensures you are able to work safely and come home to your family each night. We at Tyndale, along with our manufacturing partners, are Proud to Protect you. Interested in getting your workers in Tyndale’s quality, Made in USA flame resistant garments? Contact a Tyndale National Account Executive today to get started creating your custom program, or visit our retail website at www.tyndalefrc.tyndaleusa.com.